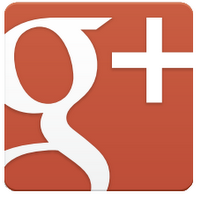 As Google works on updating the Google+ product, we are going to look at a new feature that they have recently added. This new feature is a video sharing feature that has been added to this new social network. What is going to be interesting to see about this new feature is what kind of effect this will have on Google’s YouTube product. Potentially, this could take away some of the traffic that is currently going to YouTube. With the new feature, Google+ users can share video updates with those are in their circle. Prior to this feature, a lot of people have been doing this with YouTube. The thought is that if you no longer need to visit a particular video sharing site to post videos so that a certain audience can view it, then why would users do that? If you want to share a video on Google+, all you have to do is to click a button to record the video and when you are done, the video will be pushed into the user’s video stream. So what does YouTube offer that will keep users using this product. One advantage that is currently available is the fact that with YouTube, you can monetize your video. However, if you are not trying to monetize your videos, then you can use Google+ to get your video out there to your social network. Though it is still new and in the building stage, Google+ may someday give Facebook a run for its money in the social network arena. Most of those that use Google+ are not your family and friends. You have a better chance of seeing your business associates on there. There are still families that are trying to the grandparents onto Facebook. It will be difficult to switch them especially if they are new to the whole social networking concept. 0 Respones to "Post Your Video to Google+"